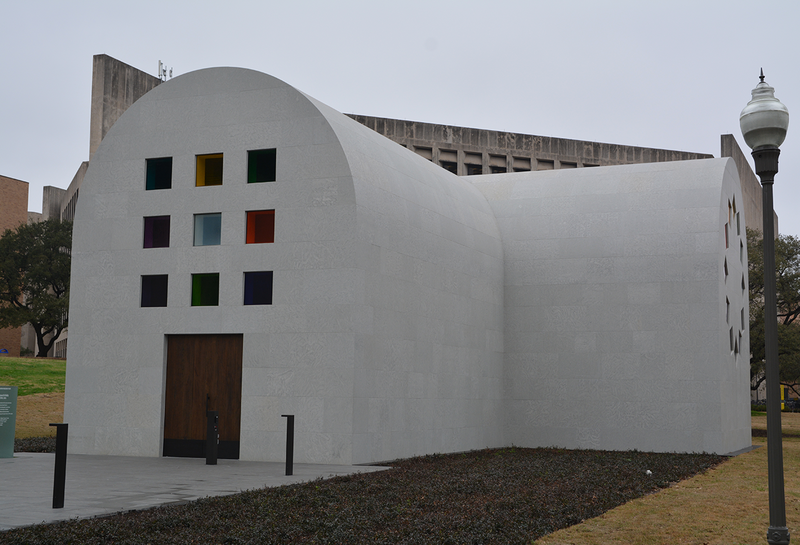 On 17th February this year it was inaugurated “Austin”, the only building designed by the artist Ellsworth Kelly. 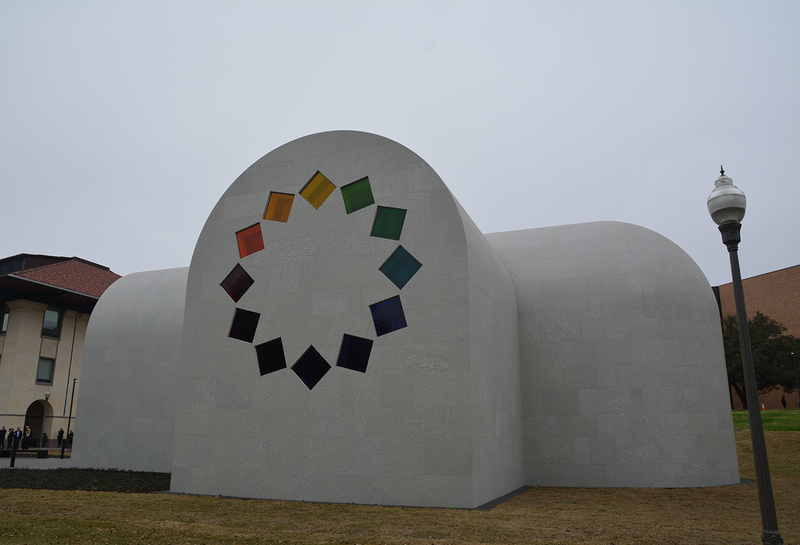 He gave the project to the Blanton Museum of Art, in Austin, Texas, situated in the campus of the University of Texas. The Project, with a cost of 23 millions of dollars obtained through a fund-raising promoted by the director of the museum Jamille Wicha and the University of Texas itself, includes one facade clad in natural stone of 900 sqm in Bateig Galaxy, although in the original design the stucco had taken his place. However, the individual climate of the Texas motivated the convenience to substitute this material by limestone, much more aesthetic and resistant to the passage of time. By its round design, which regards the religious Romanesque architecture and Cistercian, it was required a laborious work of the limestone. Each one of the stone panels made by natural stone Bateig required the assigned of very specific parameters, so the CNC machines can provide the correct curvature. 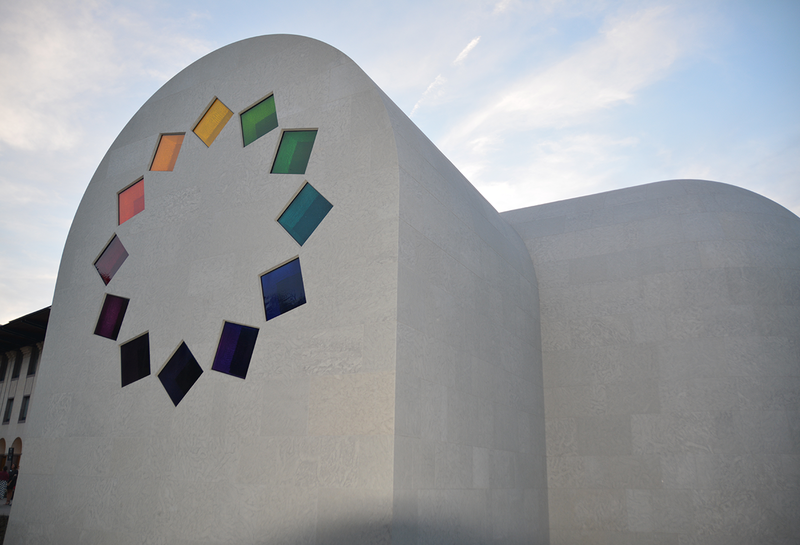 The work of Ellsworth Kelly included ventilate facades amounting in total 500 sqm of Bateig stone on curves convex, some of them measured in 170x120x4 cm. The result is a project with clean lines, full of complicity and simplicity, which in the same time, assumed a challenge extremely important for the process of elaboration in the company Bateig. The Blanton Museum of Art constitutes a structure of just one room that resembles an igloo, though mostly it is associate with a chapel. The U.S. artist called it a chapped dedicated to the creativity, which draws together numerous art exhibitions. The Bateig Galaxy extracted from the own quarries of Bateig Piedra Natural constitutes the ideal material to bestow to this contemporary artwork the initial ambitions of its creator: a unique structure which contrasts creatively with their environment.